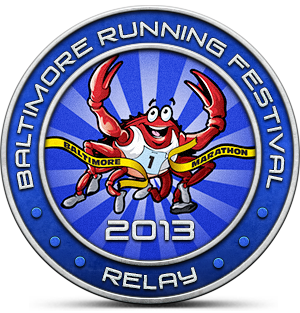 Several months ago — work colleagues convinced me to run a leg of the Baltimore Marathon as a Relay Team. I was one of the 4 Legg Ladies!! Well, Saturday was the 13th running of the Baltimore Marathon, part of the Baltimore Running Festival — and I was there. Running with my team — Rachel, Angie, and Joan! We are the Legg Ladies! (we work for Legg Mason). We finished 255 out of 296 teams of women. But more than anything — It. Was. FUN!!! I found my love for running again!